Kellan’s first book Caleb’s List (Luath Press) was shortlisted for the 2013 Saltire Society First Scottish Book Award. More than just a climbing book this is the story of a survivor: Caleb’s List (Luath Press, 2013) is a beautifully descriptive account in which Kellan MacInnes intertwines his own personal struggle with HIV with the life story of Victorian mountaineer Caleb George Cash, beginning with the moment in 1898 when Caleb stood at the top of Arthur’s Seat in Edinburgh and made a list of twenty mountains visible from its summit, from Ben Lomond in the west to Lochnagar in the east. MacInnes stumbled upon this long forgotten list of hills, now dubbed The Arthurs and in this book he sets a new hillwalking challenge… climbing the Arthurs. Drawing on history, literature and personal experience to bring the mountains surrounding Edinburgh to life. MacInnes offers both practical and emotional insight into climbing these hills, in an account that is a must read for both hillwalkers, visitors to Edinburgh and lovers of Scotland all over the world. 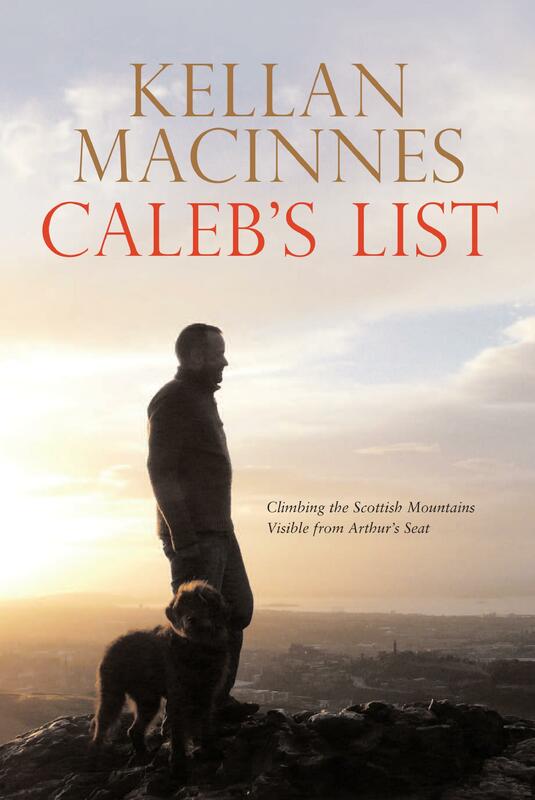 Caleb’s List was entered for the Boardman-Tasker prize for mountain literature and was selected by TGO magazine as one of the 8 best outdoor books of 2013.